Living in the selfie era, taking photos for social media has become the norm for many of us. To look your best in pictures (without relying on a filter, editing app, or Photoshop skills) – today’s beauty guide is a must-read for you! To help you learn how to do camera-ready makeup, today’s makeup tutorial shares makeup application tips and beauty product secrets to help you get a picture-perfect selfie. STEP 1: Apply primer to clean face, around eyes, and on the neck with your fingers. BEAUTY TIP: A skincare-infused primer helps to prevent makeup from settling into fine lines or creases. It also blurs the look of wrinkles and extends the longevity of your makeup. STEP 2: Using a damp makeup-blending sponge, apply a nickel-sized amount of BB Cream all over face. Blend. 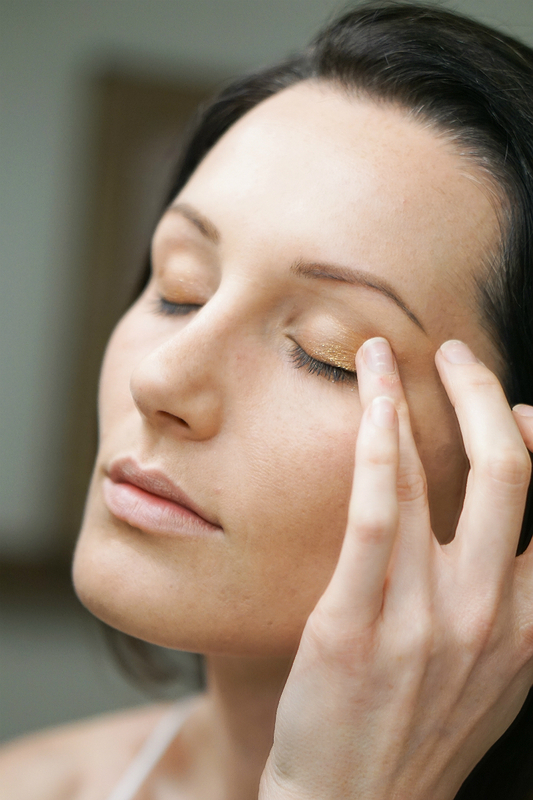 STEP 3: Apply HD concealer under eyes (in an upside-down triangular shape), down along the bridge of the nose, in between brows, and on the chin. 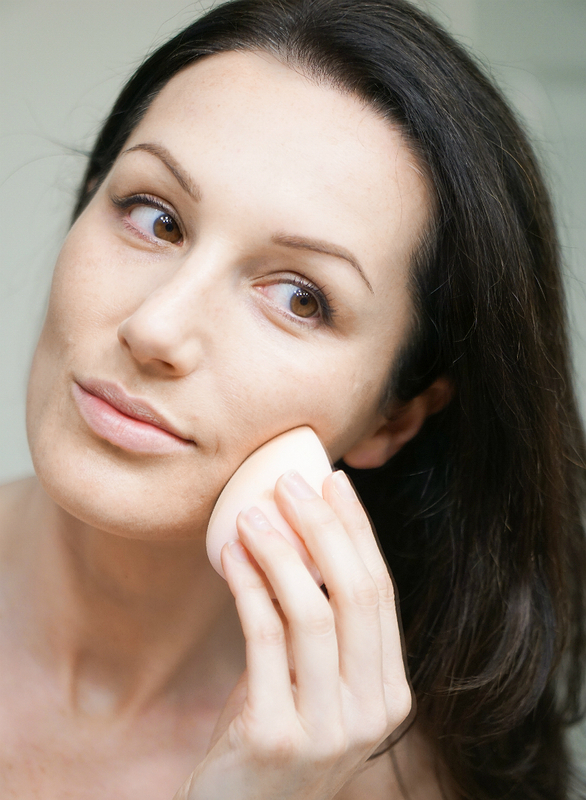 Using the damp makeup sponge, blend the concealer into the skin. 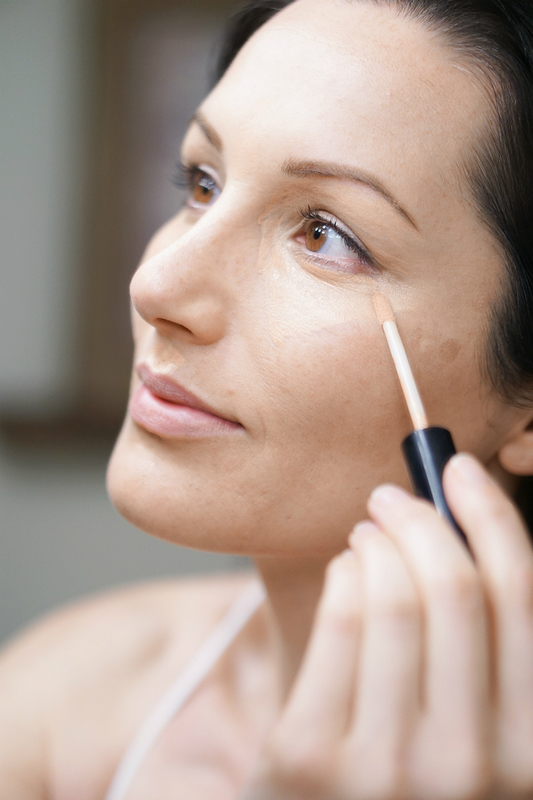 BEAUTY TIP: An HD concealer is formulated differently than normal concealers. 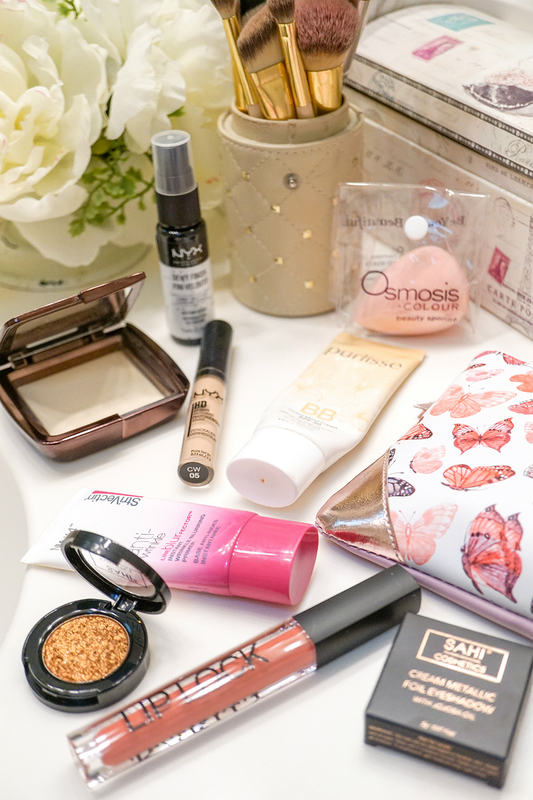 These beauty products are designed to create a flawless finish, that is ideal for doing camera-ready makeup for photos. By applying concealer to these parts of the face, it draws light to those areas, which highlights your features in photos. STEP 4: Using the sponge, set your makeup with an illuminating setting powder. BEAUTY TIP: An illuminating setting powder is similar to a face powder, but it has reflective particles in the finish, giving you an ethereal, radiant glow. It’s also loved by photographers and makeup artists, as it minimizes the look of pores, wrinkles, and imperfections. That’s why a lighting powder is a must-have for picture-perfect selfies. STEP 5: Extend the wearability of your makeup and prevent makeup from melting by finishing with a setting spray. BEAUTY TIP: Setting sprays come in a variety of formulas – mattifying, long-lasting, luminous, etc. For this particular look (and to add a “healthy sheen” to the skin), a dewy finish setting spray was used. STEP 6: Apply a warm metallic eyeshadow to the lid and outer corners of your eyes. BEAUTY TIP: For a soft, diffused glow, use your finger to apply the shadow. This creates a sheer wash of color that catches the light and adds a hint of warmth to the skin. STEP 7: Finish your makeup with a warm pink-hued velvet matte lipstick. BEAUTY TIP: For a picture-perfect pout, gently exfoliate lips with a lip scrub lips before applying lipstick. This will slough away dry, chapped skin, prepping your lips for the lipstick. For more beauty tips and secrets, check out the Makeup section on Inspirations & Celebrations. Excellent tips especially for slightly age skin I have a naturally dry skin so the lines are getting deeper because I don’t have much natural moisture so I have bought a really good line of moisturizer products Elizabeth grant from the shopping channel. And I also took a chance on boom made by Cindy somebody or other who used to be a make up artist for models so for someone who never wars did you make up all my life I am finally at that age where I’m really seeing it can help me out so bring on the advice I’m ready Lucky for me I never had acne one pimple every two years type a thing and unfair and 58 years old and I bet most people especially if I make any effort would guess me around 45 or younger So I want to keep that going if I can don’t you know I’m single right now LOL . !